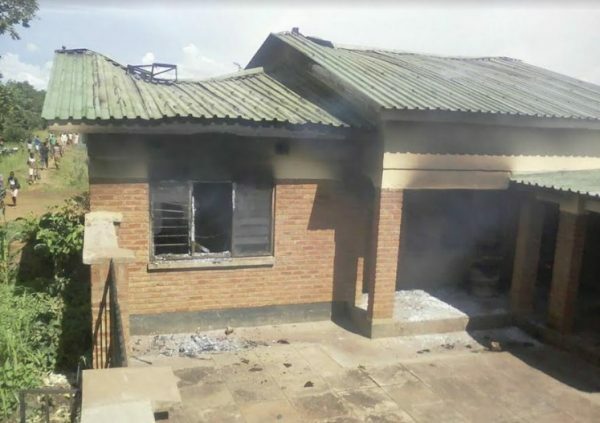 Traditional Authority Zulu of Mchinji district has been left homeless following the fire that gutted his house last Monday. Modester Masala, the acting TA Zulu pointed the family of Mzengeri Jere as prime suspects although the investigations are not completed. A fight has been going on between the two families over chieftainship since the death of the then TA Zulu 7, (Zachariah Masala) in May 2010. No one has been appointed to replace the position after the late Zachariah Masala. Following the Ngoni tradition called Madauka, the son to the late Chief is eligible to be claiming the throne. In this situation then, Zwethilini Masala Jere who is the son to the late Chief is supposed to take over the throne but there have been some delays because he is just only 13 years old. Police got to the scene but they failed to have a dialogue with Masala Jere family members who were angry with the incident and prompted to revenge. Maximas Bakali, Mchinji police officer in-charge said police have come up with suspects and they will soon be apprehended.